Originally posted by cleantechnica.com. View original post here. While wind energy has become an increasingly common development choice in recent years, there has been some criticism of the technology — of particular interest in that regard was a study released relatively recently that suggested that electricity output from wind turbines declines by a third after only ten years of operation. It turns out, though, according to new research from the Imperial College Business School (utilizing local wind speed data from NASA), that that worry is unfounded — wind turbines can remain productive, with no need of upgrade, for up to 25 years. The previous work, which was based entirely on a (questionable) statistical model, simply didn’t reflect the reality in the field. 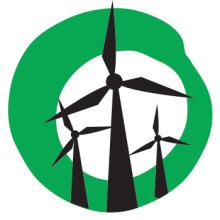 The new work was simply a “comprehensive nationwide analysis of the UK fleet of wind turbines, using local wind speed data from NASA” — an analysis that showed that the “UK’s earliest turbines, built in the 1990s, are still producing three-quarters of their original output after 19 years of operation, nearly twice the amount previously claimed, and will operate effectively up to 25 years.” So much for the doom-saying. The new findings show that wind turbine longevity is directly comparable to that of the gas turbines used in power stations. The researchers reached their conclusion using data from NASA, collected over a twenty year period, to measure the wind speed at the exact site of each onshore wind farm in the UK. They compared this with actual recorded output data from each farm and developed a formula that enabled them to calculate how wear and tear of the machinery affects the performance of the turbines. This is in contrast to the previous study, which only used the average estimates of nationwide wind speeds to determine the effects of wear and tear on wind farm infrastructure. The researchers are now planning to continue their work by monitoring newer wind farms, over longer periods of time — looking to determine more accurately exactly how long newer wind farms will last.